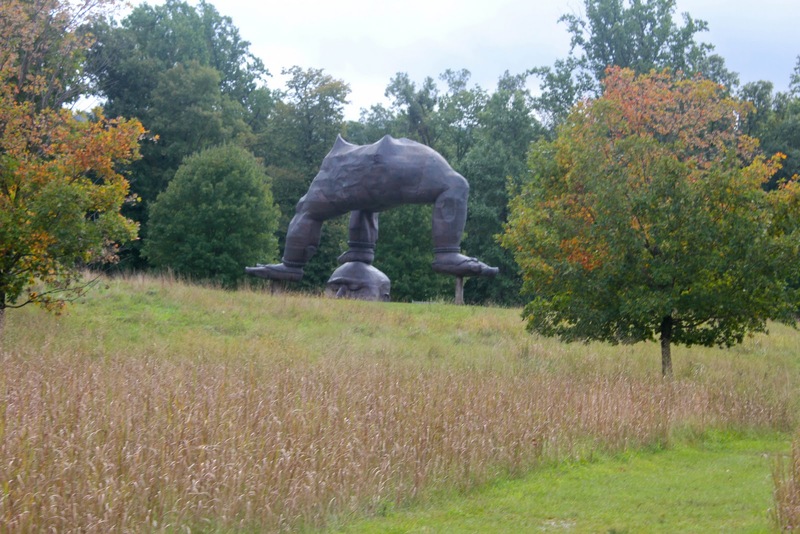 I had wanted to visit Storm King during our visit to New York last summer, but we couldn’t persuade our teenagers to take the detour on our way from the Catskills into the city. Visiting a giant outdoor sculpture park just wasn’t high on their list of fun things to do. But as new empty-nesters, we didn’t have to negotiate our first visit this fall. (I think our kids actually would have thought it was pretty cool.) 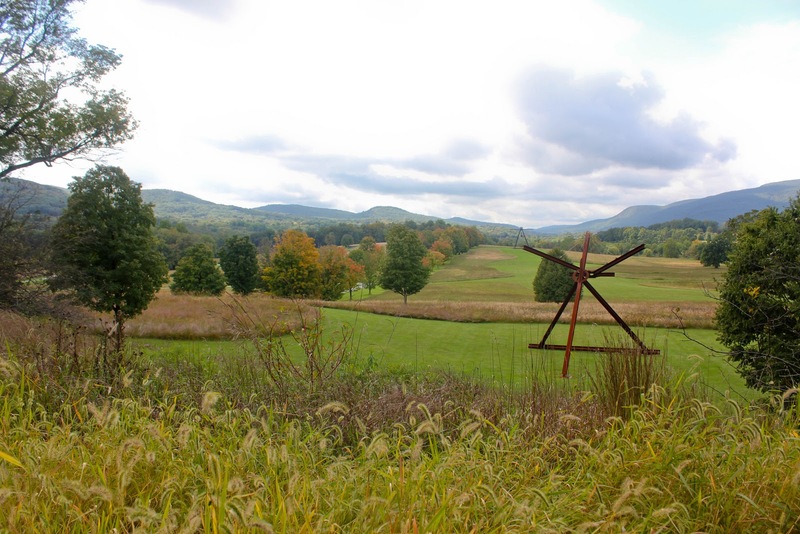 The park is about 60 miles north of New York City, in Mountainville, in the Hudson River Valley. 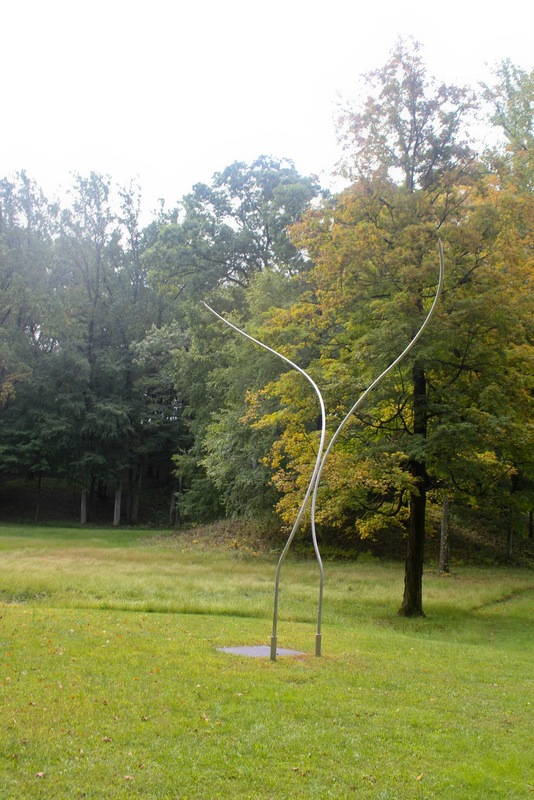 You can either walk through the 500-acre park to check out the hundred or so sculptures by the best artists in the world, or take the tram (see it there behind the trees?). We were short on time, so we opted for the tram, and had the privilege of waiting on these benches, by Bronx artist Johnny Swing–which are famous sculptures in their own right. 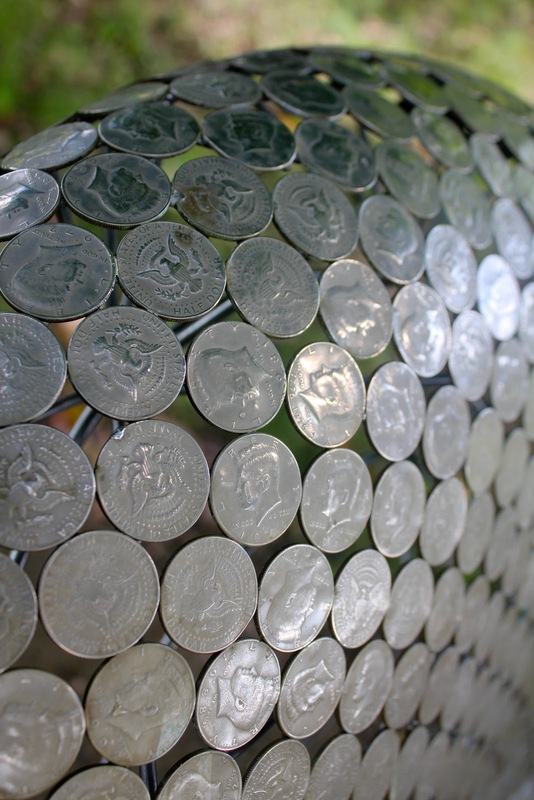 Swing usually uses nickels, but this one is of half dollars. 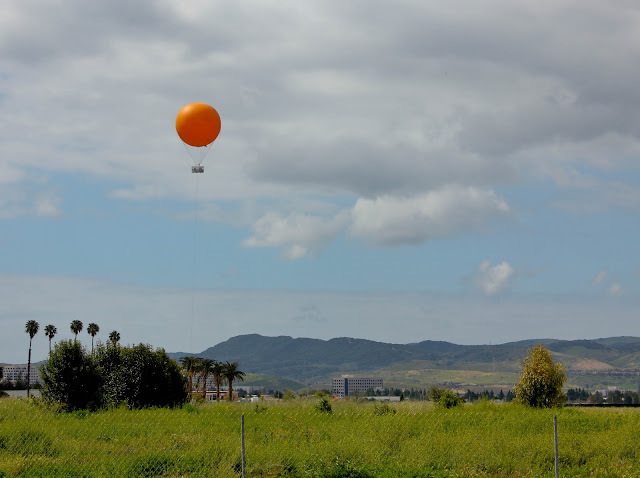 The tram ride lasts about 40 minutes and meanders throughout the 500 acres. Walking allows a closer view of the sculptures, but this allows you to get a sense of the lay of the land. 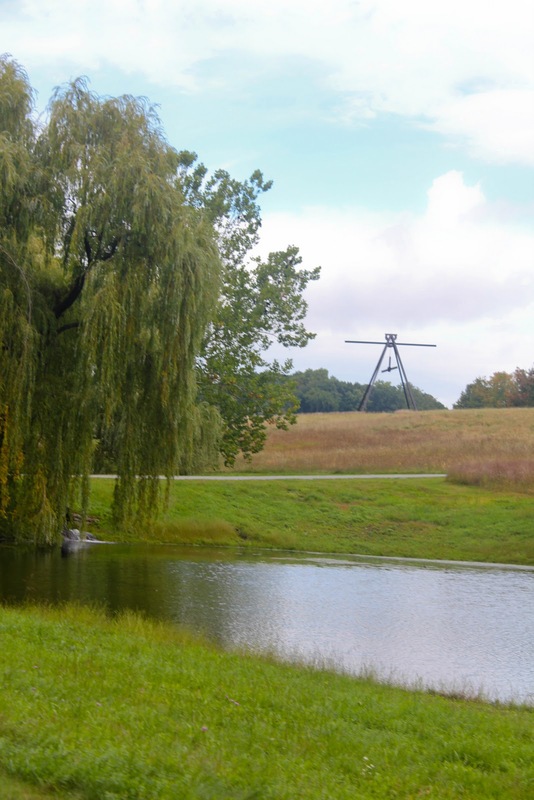 This entire pasture was devoted to Mark Di Suvero‘s giant sculptures, mainly built with structural I-beams. 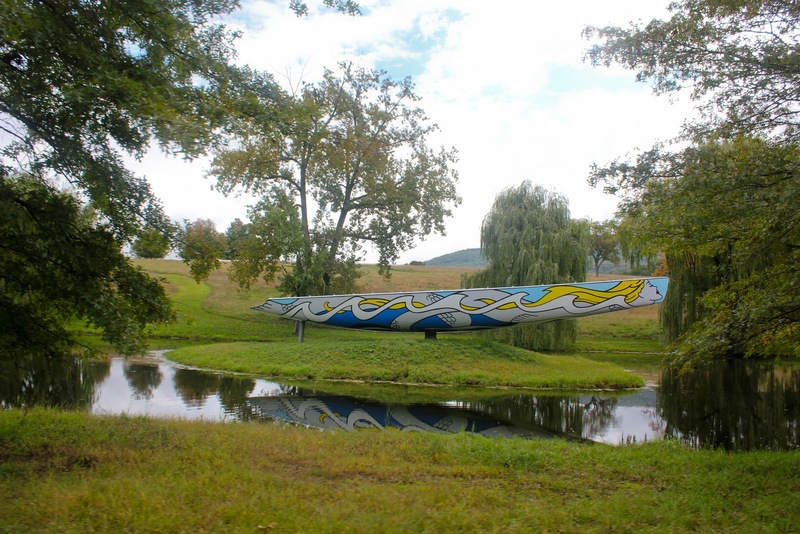 Storm King is currently celebrating its 50th anniversary, and has an exhibit about its history in the museum on the grounds. In a nutshell, the property was home to a factory that made construction fasteners, then converted to a cattle operation. 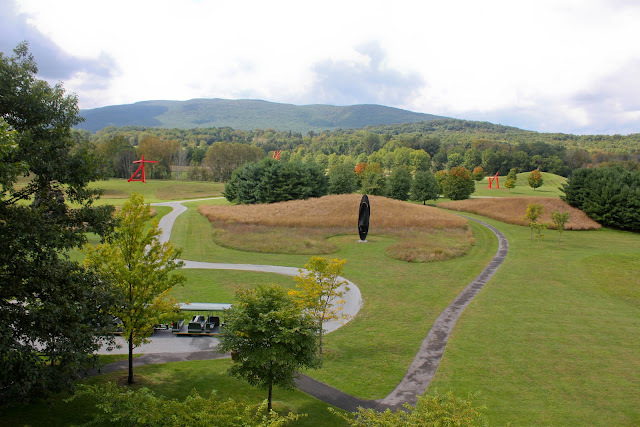 But in 1960, what was once a museum for the Hudson Valley painters expanded into a major sculpture venue with the acquisition of works from the estate of sculptor David Smith. 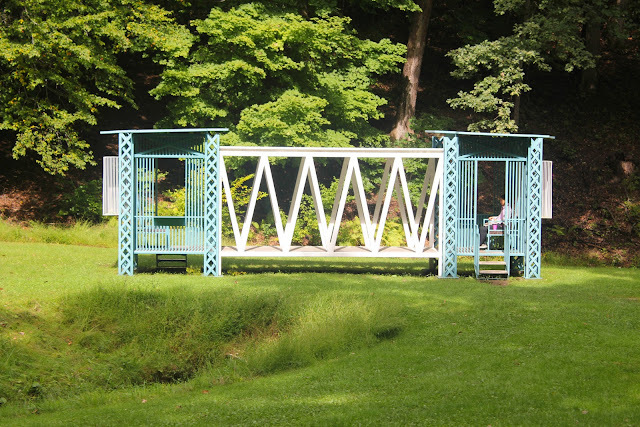 This piece is called Gazebo for Two Anarchists by Siah Armajani. 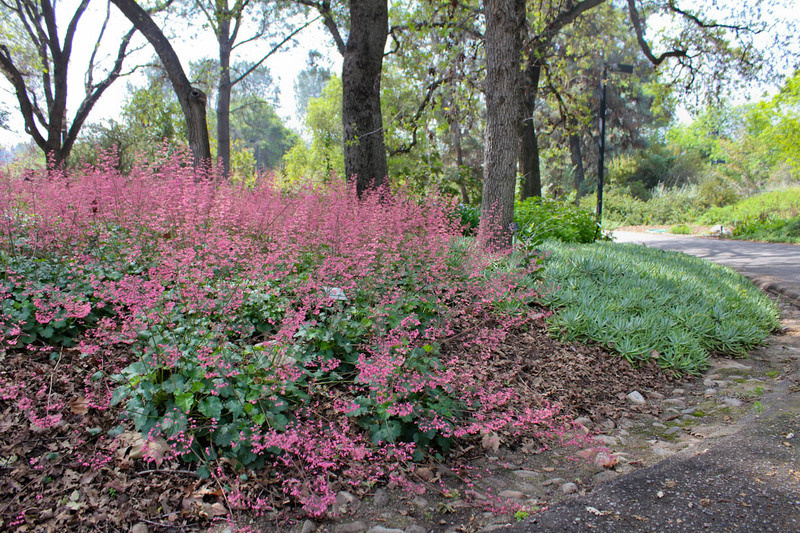 Comprised of meadows and woodlands, the property recently has been sewn with native grasses and wildflowers, including oats, buckwheat and alfalfa. 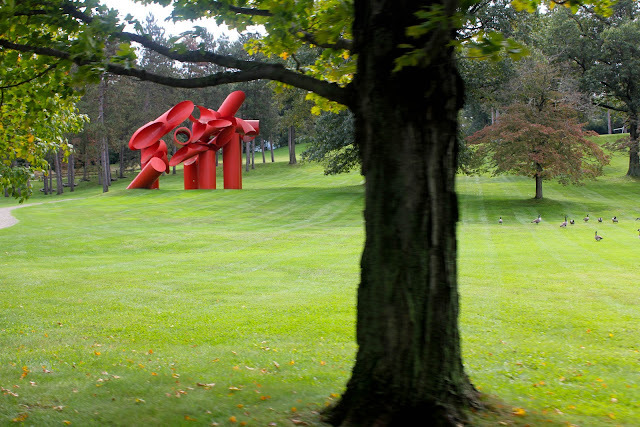 The grounds are creatively mowed to showcase the art pieces. Like many of the sculptures, this piece–called Sea Change by George Cutts–is kinetic. It spins. 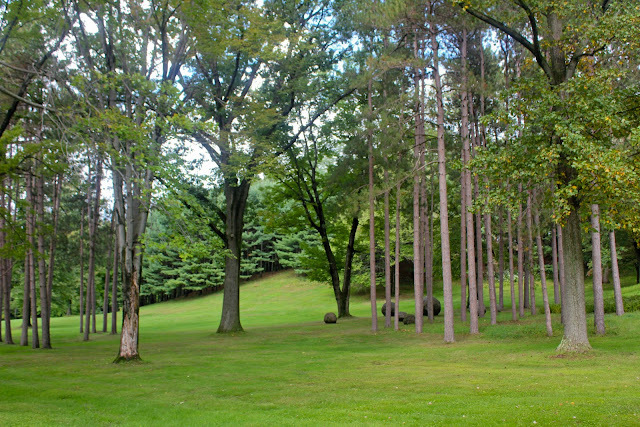 The giant trees stand as living sculptors. 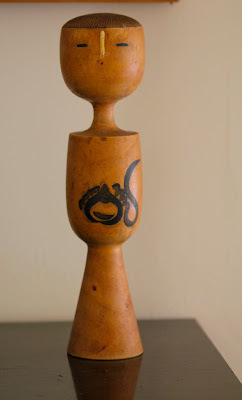 As you know, with sculpture the work changes as your point of view shifts. 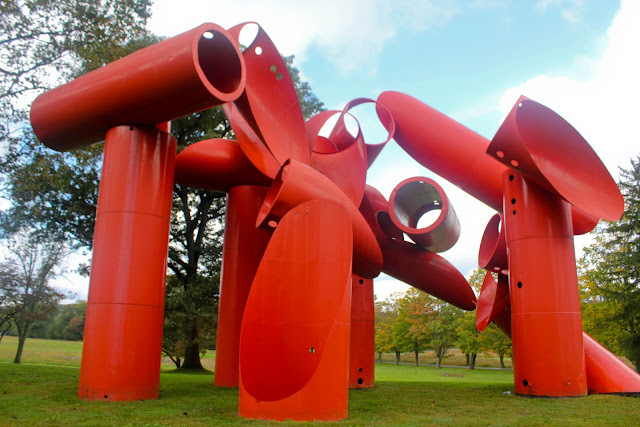 This is a monster-sized piece by Alexander Liberman is called Iliad. During the tram tour, a recording fills you in on the artists’ names, titles of their pieces and little bits of background information. I took this shot while walking around the sculpture, which is ideal if you have the time. You can also rent mountain bikes to cruise the property. The tram ride wound around a little pond, passing this boat-shaped piece by Lichtenstein is called Mermaid. If I remember correctly, it was actually sailed in a recent race. To me, this was one of the most effective pieces in how it connected with the landscape. It’s a work by Scottish sculptor Andy Goldsworthy, who is famous for making art that complements nature. He’s fascinated by Scottish stone walls, and built this one giving the illusion that is continues under the pond (see where it connect on the right?) Here’s a better shot, taken in winter. 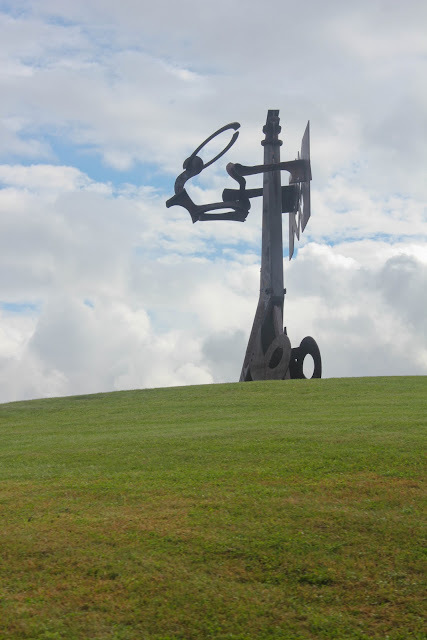 Another work, called Pyramidian, by Mark di Suvero. As cool as it was to see all this amazing sculptor in this pastoral setting, I preferred the works that were more organic and blended with the environment over the massive steel works (which I love in the right urban setting!). In general, the place can be overwhelming, but in a good way. But there certainly was no lack of humor and playfulness at this place. Every direction you turned was another breathtaking piece of art. This work is called Three-legged Buddha, by Chinese artist Zhang Huan. 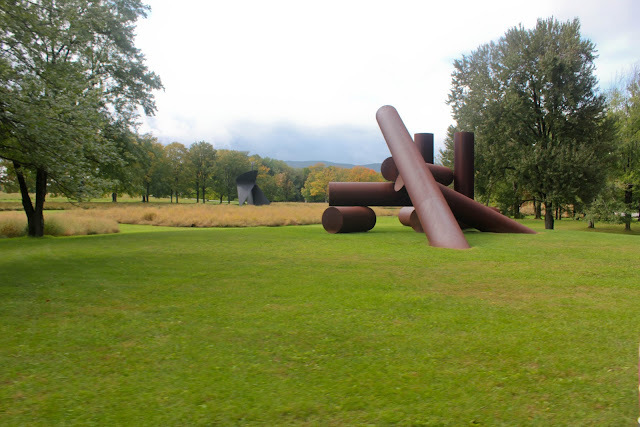 Click here for better image showing scale of this 12-ton piece. 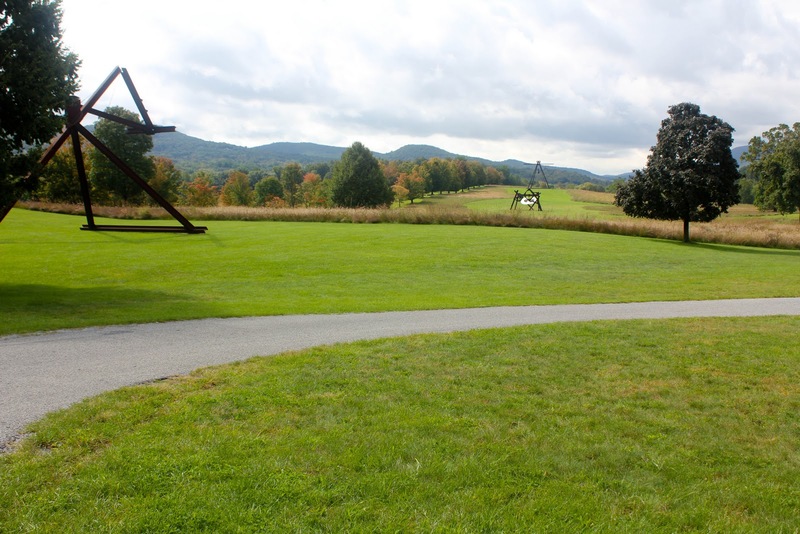 More of a birds-eye view of Mark di Suvero’s field, including the line of trees that extends into the horizon on the left, called “Maple Alley.” They were just starting to change colors. 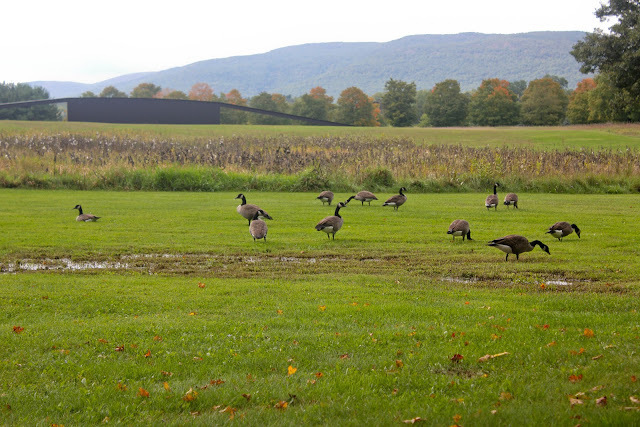 Apparently, half the visitors to Storm King show up in October, to enjoy the foliage. The park is open year round and I would love to see it in a snowy setting. 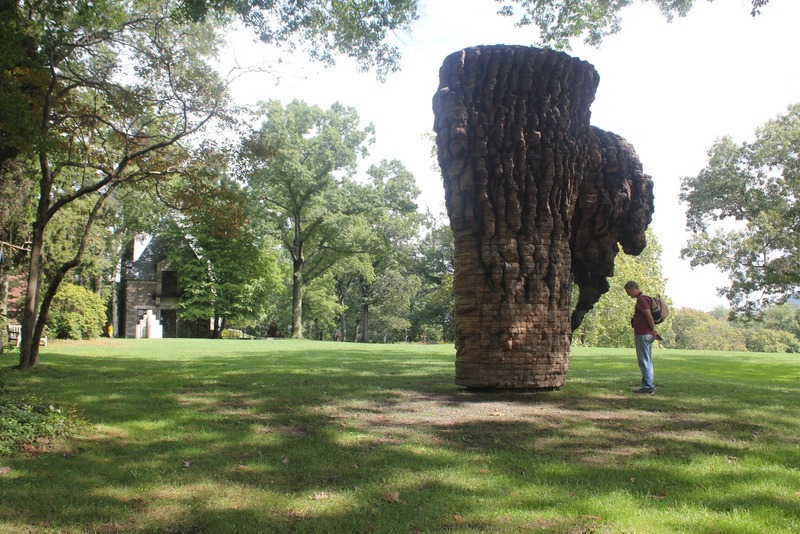 That’s the museum in the back, and an example of a more organic sculpture, this one by Ursula von Rydingsvard, a Brooklyn artist who works mainly in cedar. 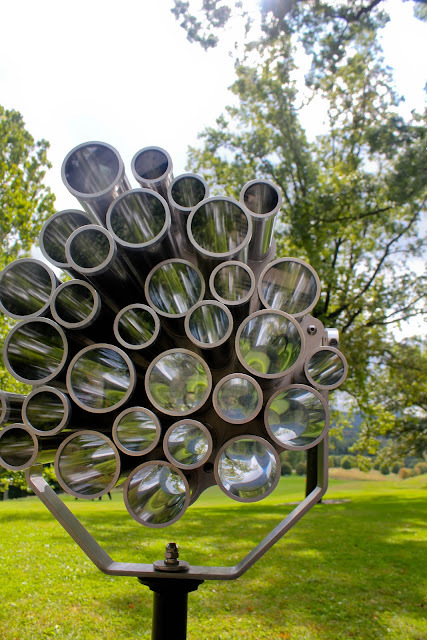 Behind the museum, several dozen smaller scale sculptures were displayed, including this kaleidoscope-type piece. 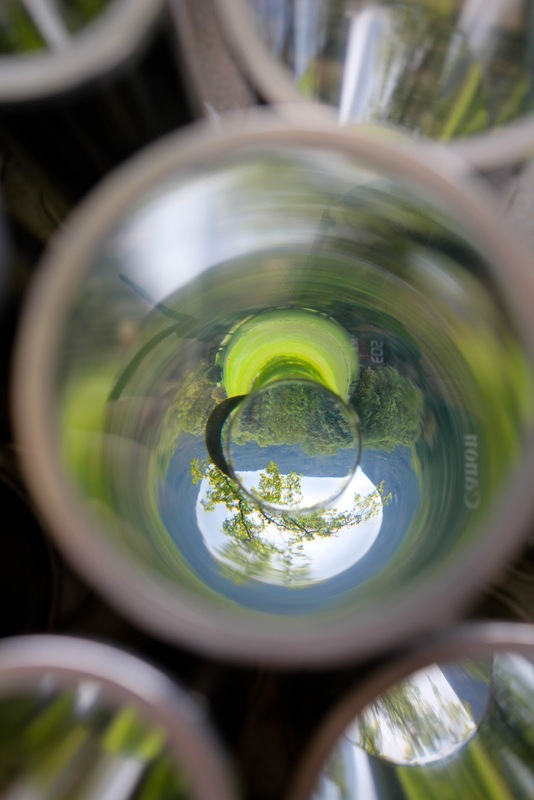 When you looked through one of the holes, you got a different perspective of the view. Back on tram, this bridge-looking piece had its own entire pasture, and its low profile curve framed other views. As you can guess, I could go on and on. You could literally spend days here. I cannot wait to return. 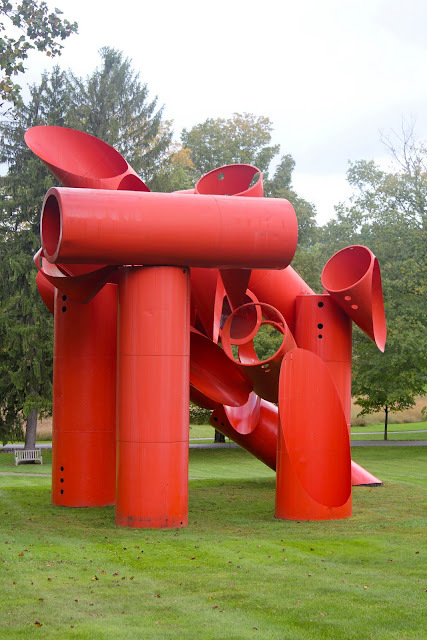 If you are visiting New York and love art, I would say this is a wonderful side trip, not only to enjoy the scenic Hudson Valley, but some of the most amazing art on the planet. There’s even a historic B&B next door where you can stay. 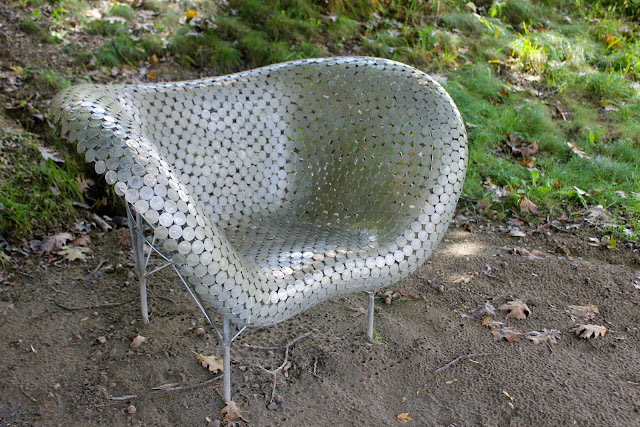 One last thing: If you love sculpture gardens, check out my post on the new one in Seattle. Click HERE. just brilliant! i loved every piece, but really LOVED johnny swing's chair. why is this place kept secret? i've never heard of it before now! thanks for bringing us on the tour, the cat's out of the bag! Hi! 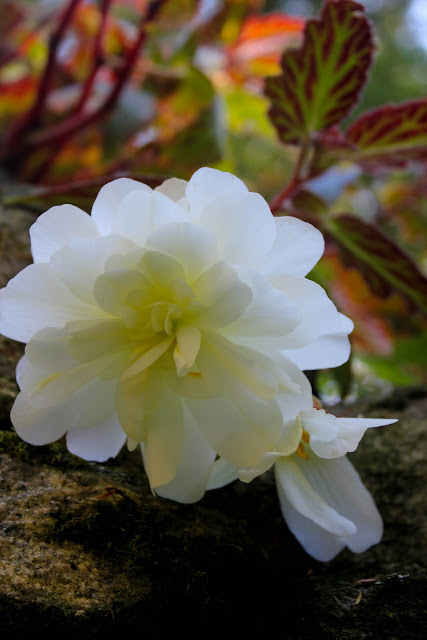 I am so happy you stopped by my new posting on writing. Now you're entered in the give-away. 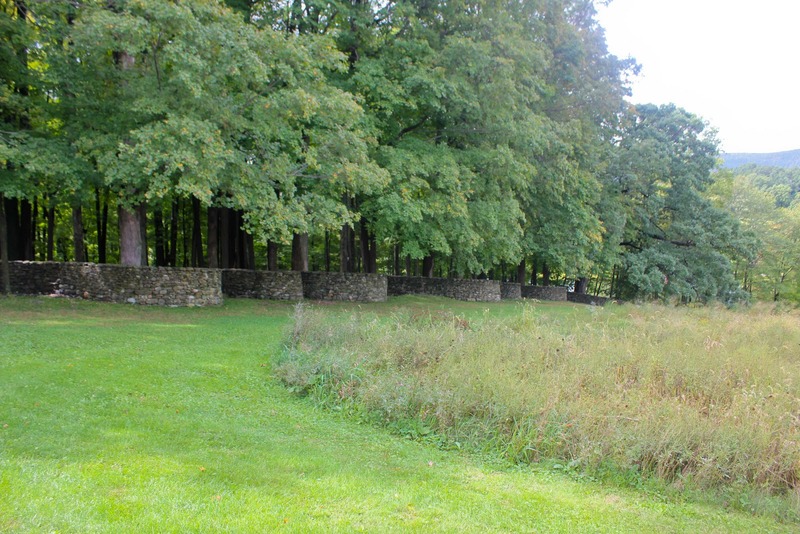 LOVE reading about and seeing Storm King. 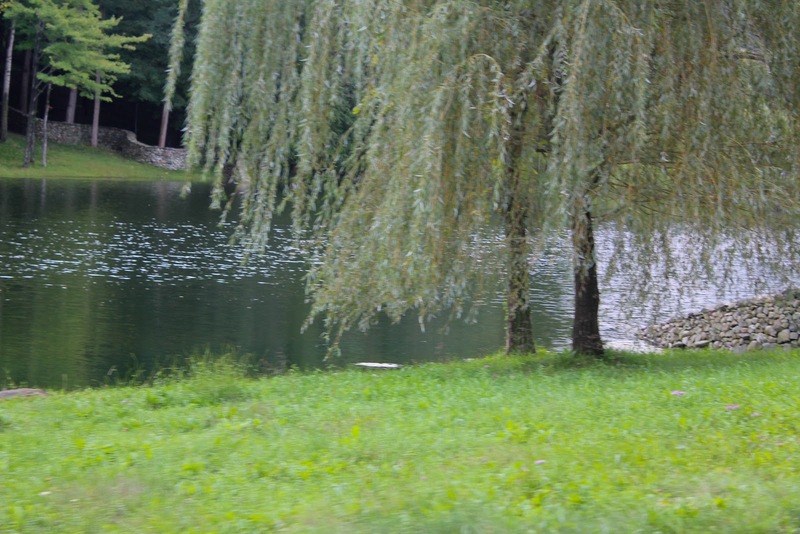 Next time we drive to New York we will make a point of stopping there to wander the grounds. Fabulous! I liked browsing your profile and think that we have lots in common. Cool! Enjoyed your trip (without having to stay in a noisy mountain hut). We did see "Rivers And Tides" via netflix–it's good.